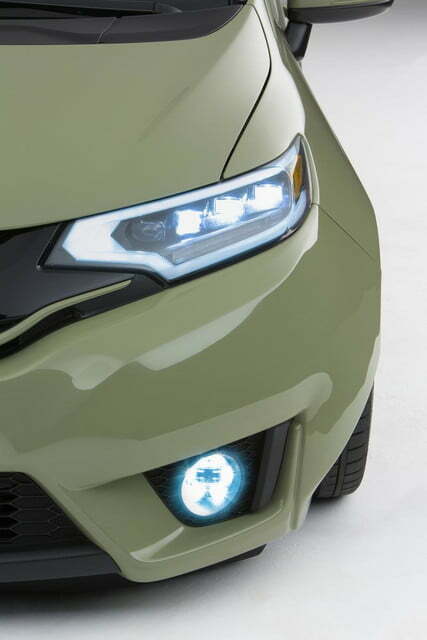 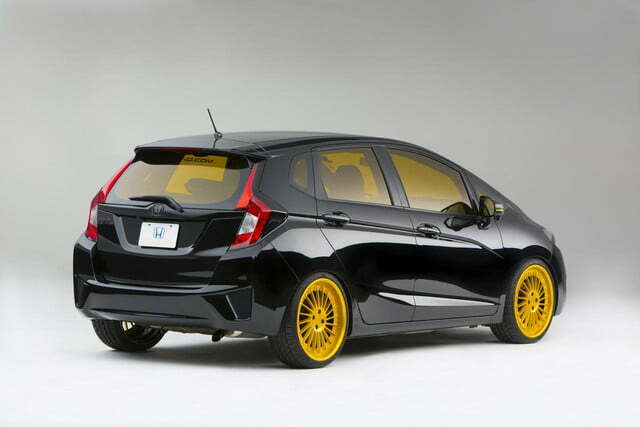 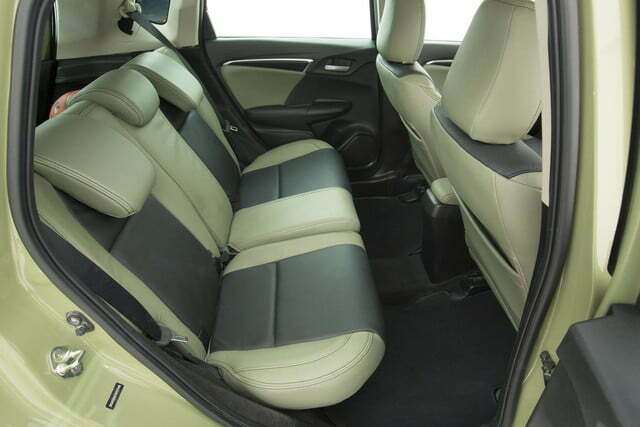 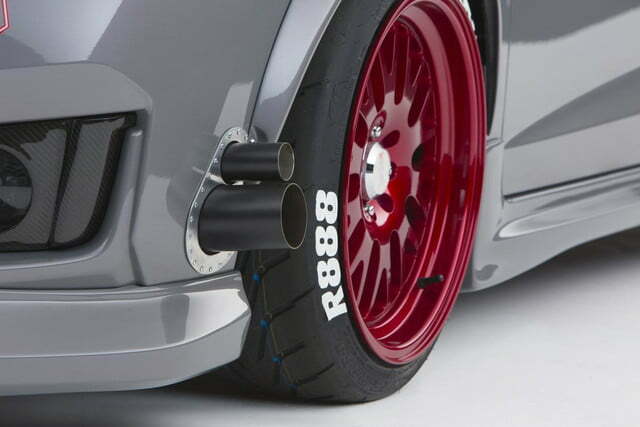 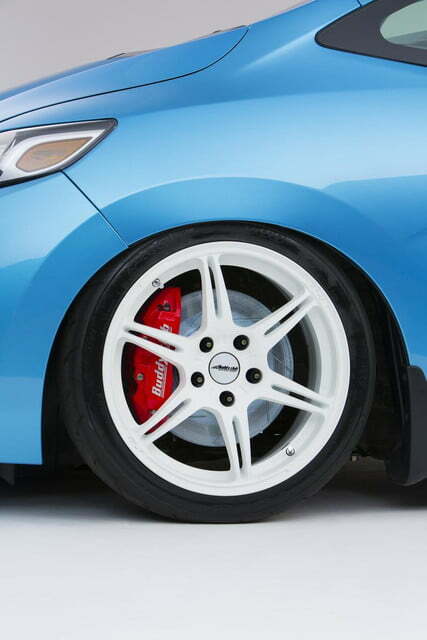 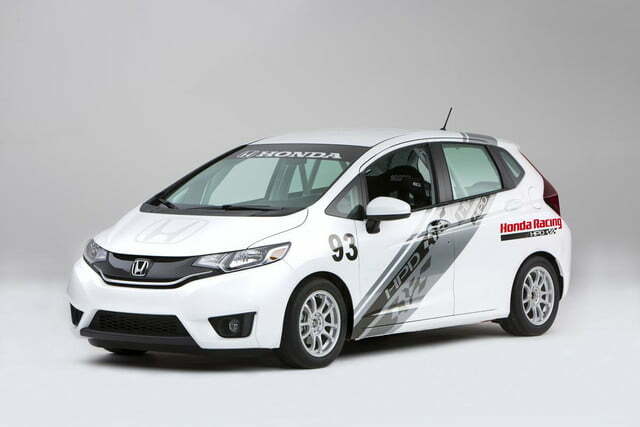 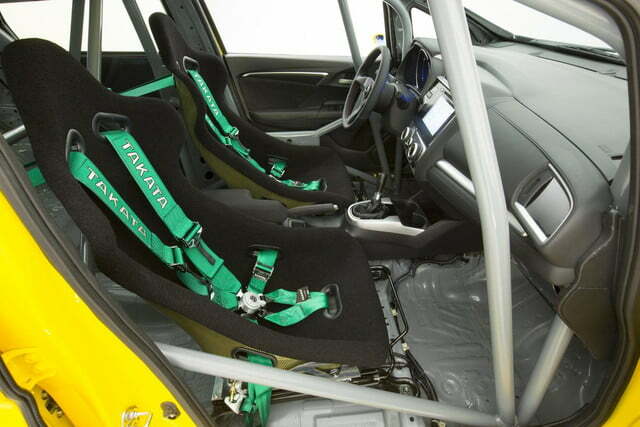 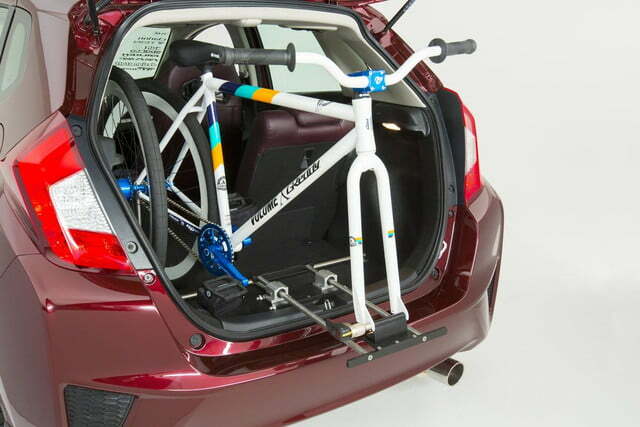 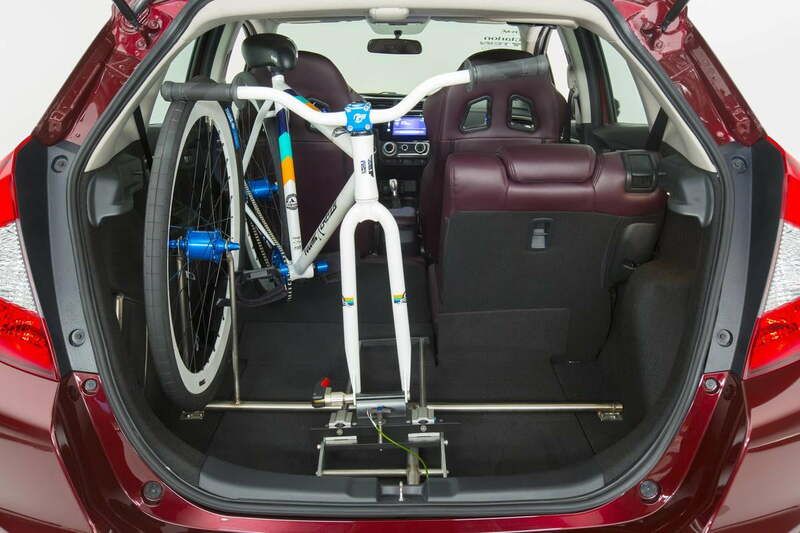 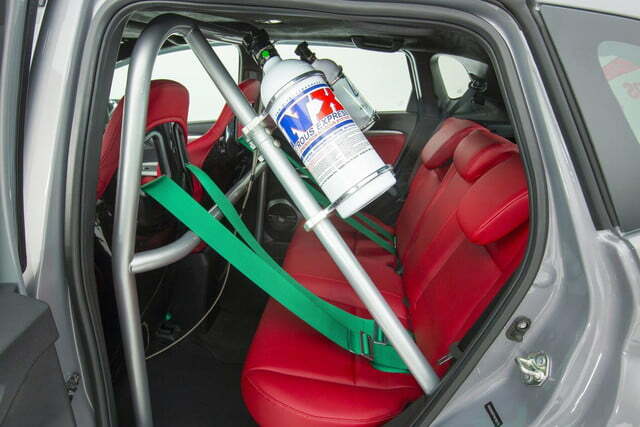 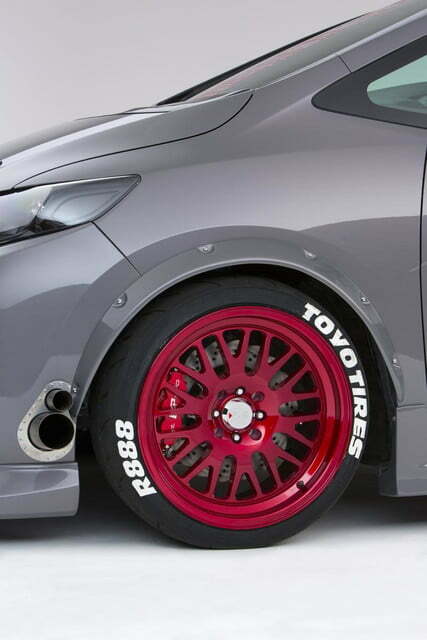 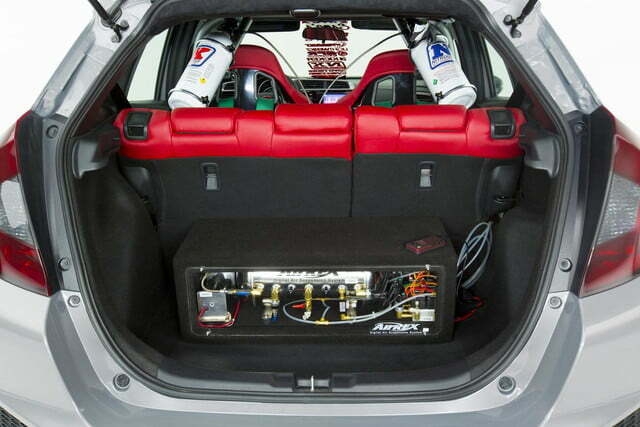 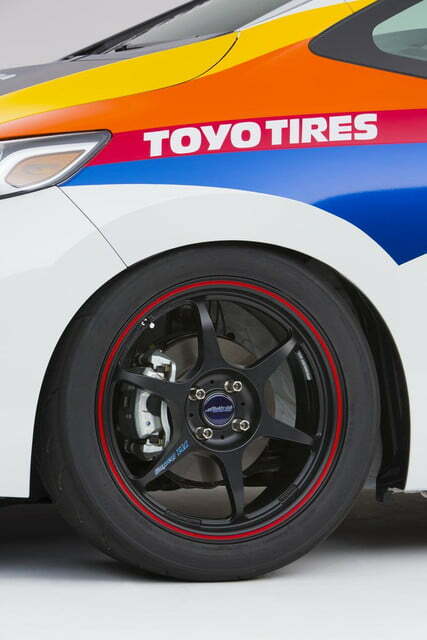 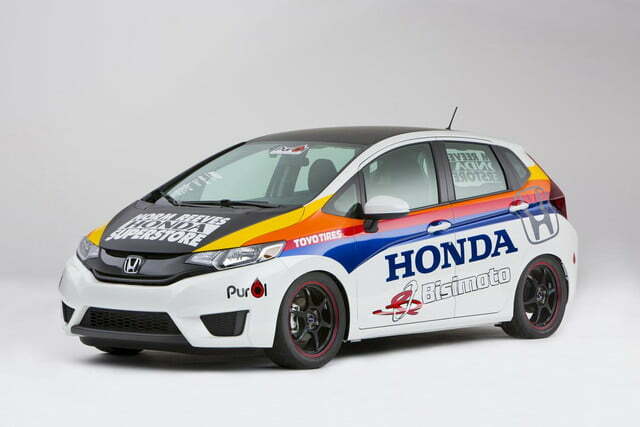 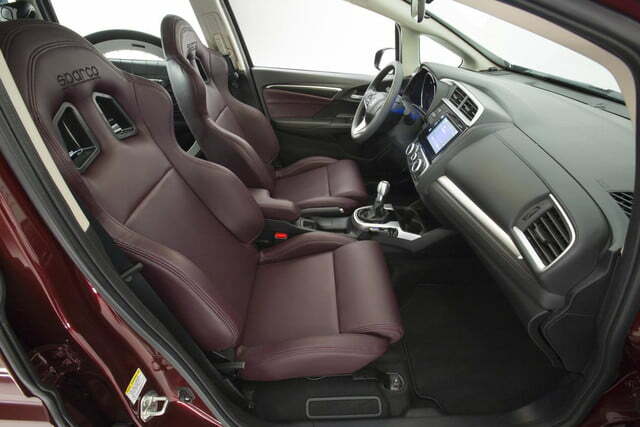 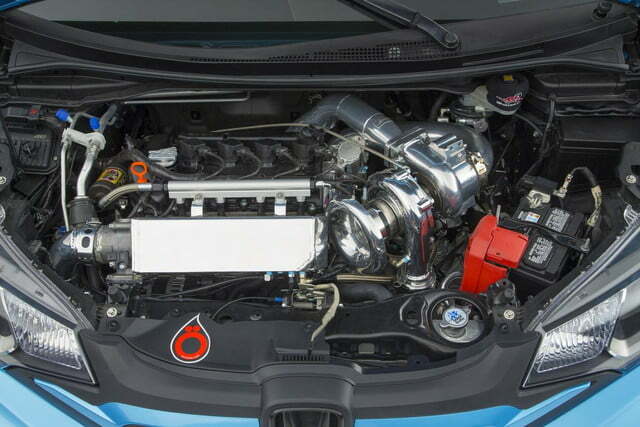 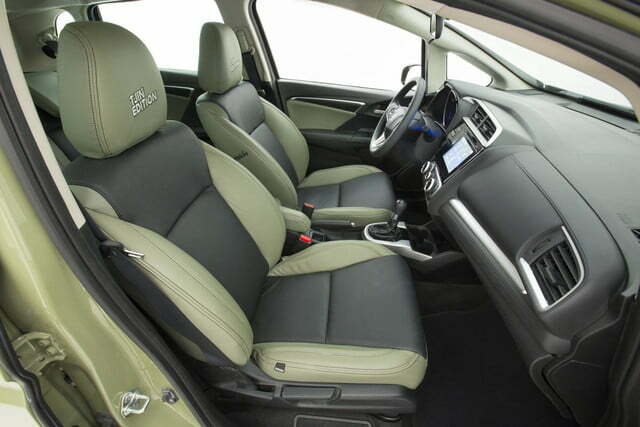 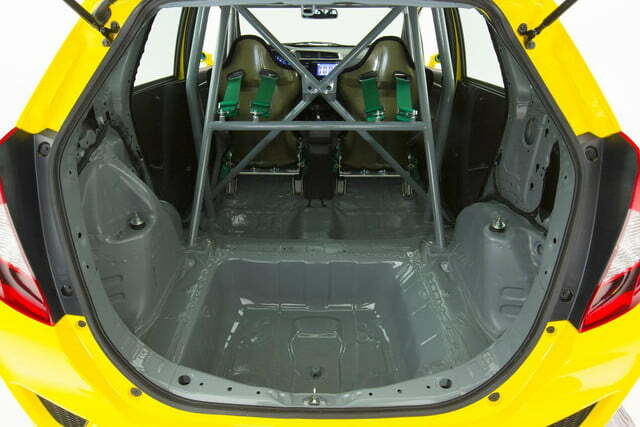 At the 2014 SEMA Show, the Honda Fit is definitely a go. 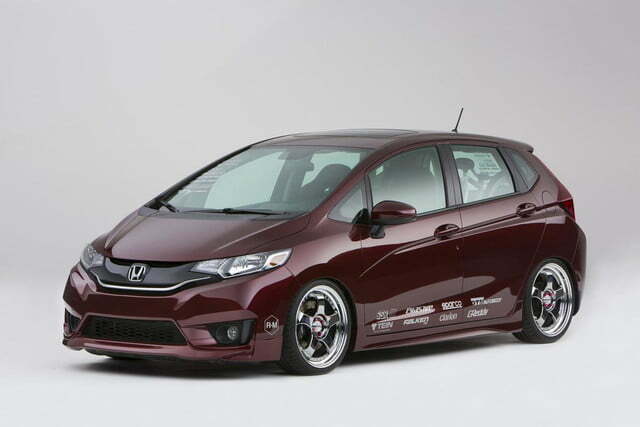 Nine different modified subcompacts have landed on the showroom floor in Las Vegas, and they range from track spec racecars to comfy metropolitan style cruisers. 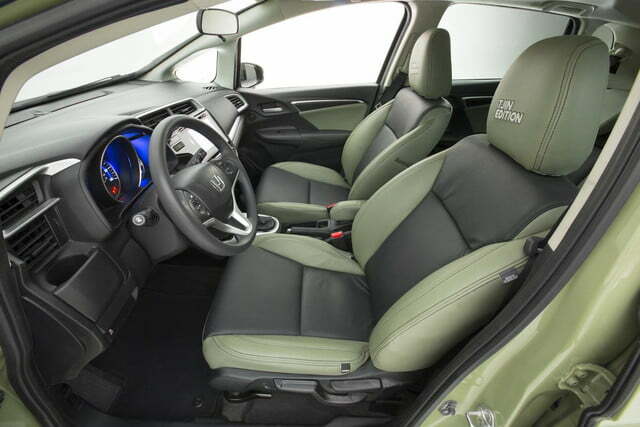 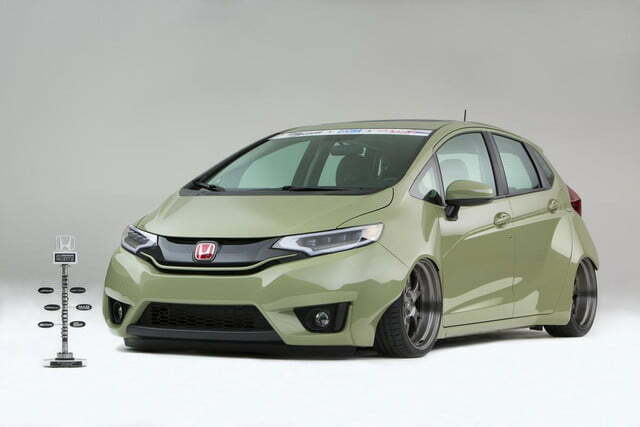 The biggest eye-catcher of the bunch is the olive-colored Tjin Edition, a slammed wide body that was quickly voted ‘Fan Favorite’ in the 2015 Fit Performance Project. 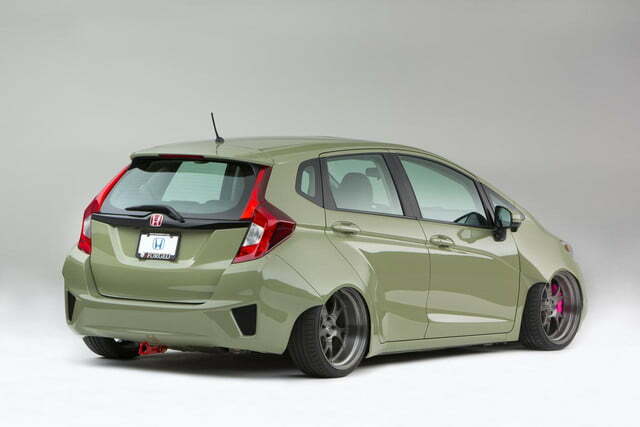 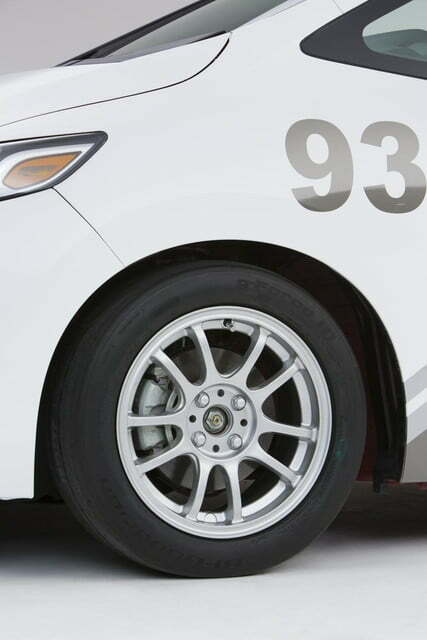 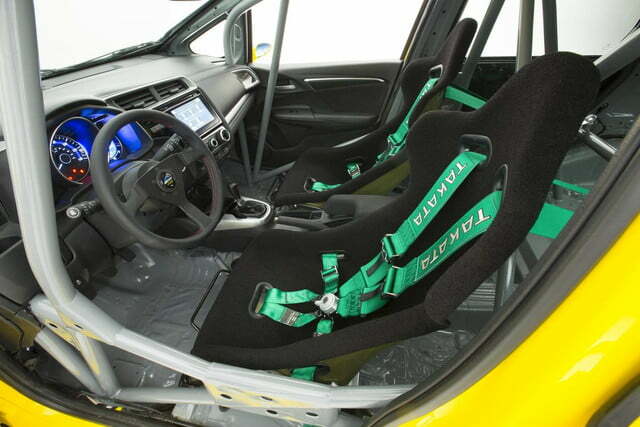 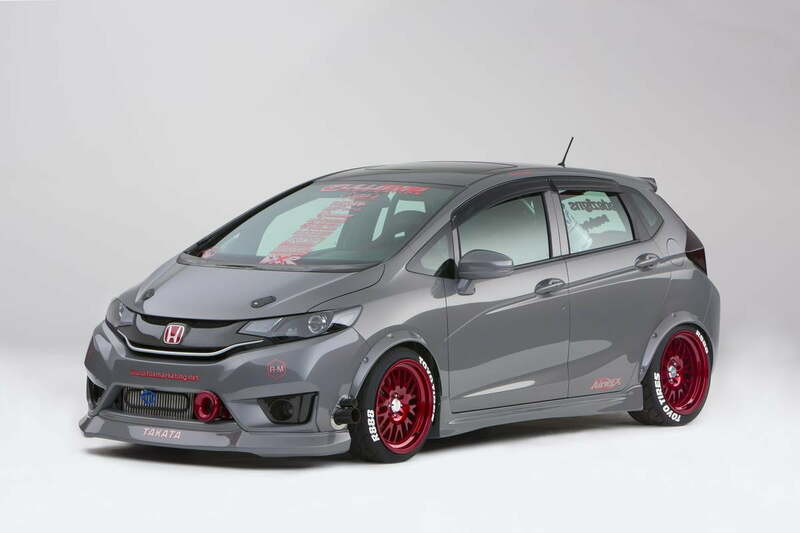 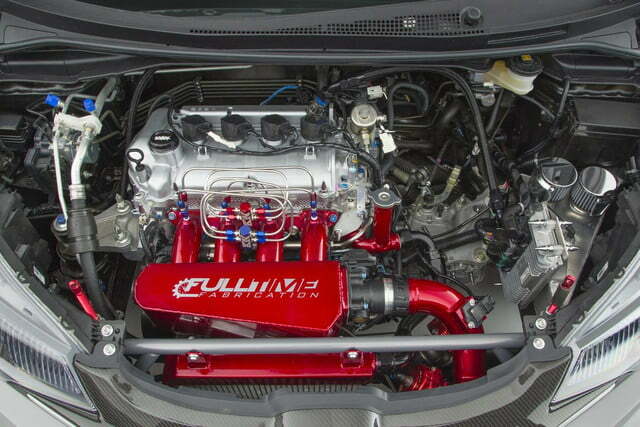 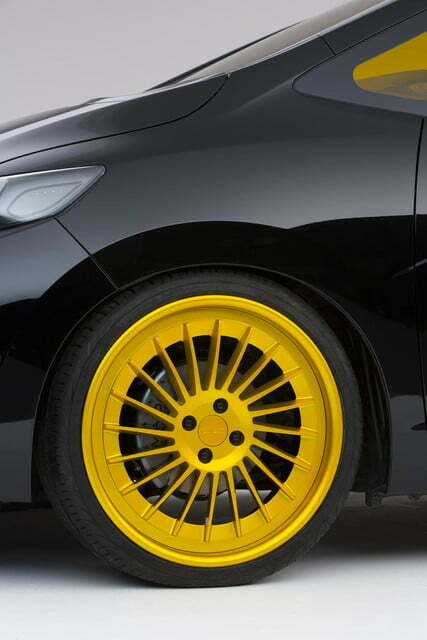 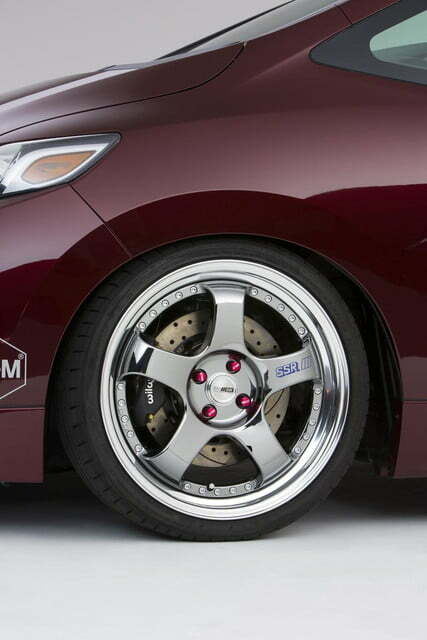 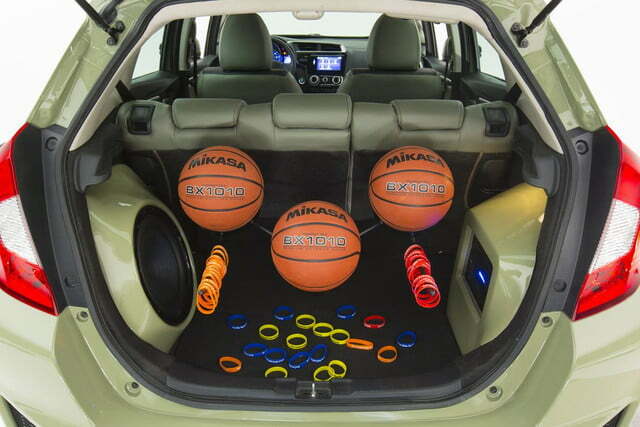 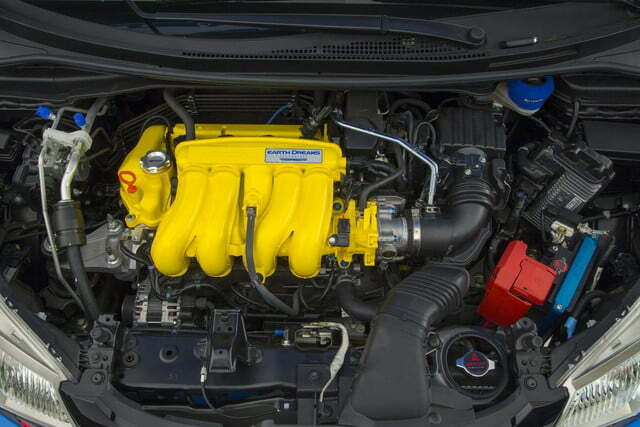 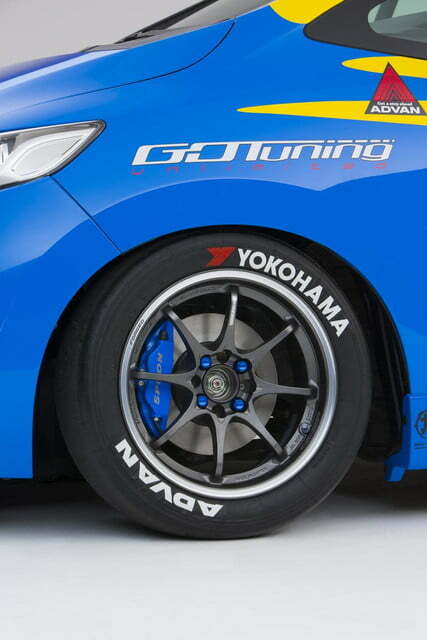 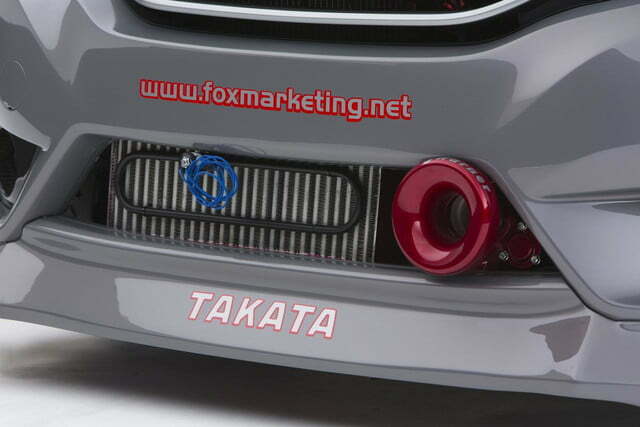 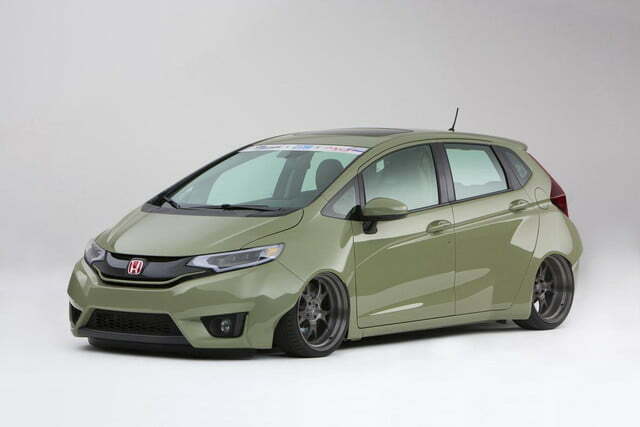 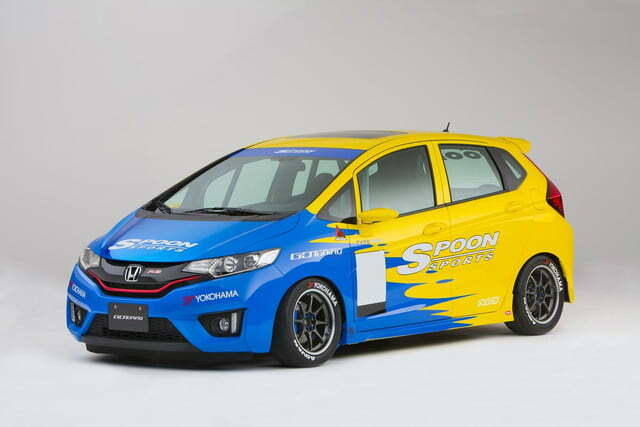 In fact, it was a leading reason why the Fit won the ‘Hottest Sport Compact’ SEMA Award overall. 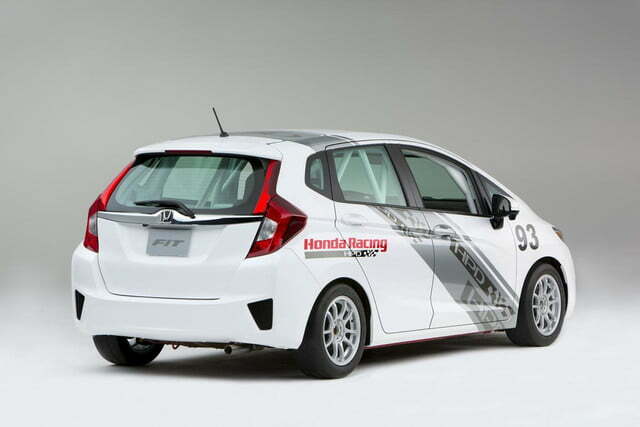 In addition to visually ornate creations, several racing versions of Honda’s beloved hatchback are being displayed at SEMA as well. 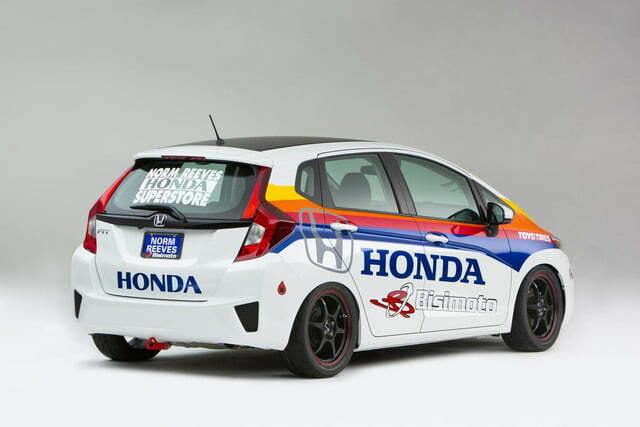 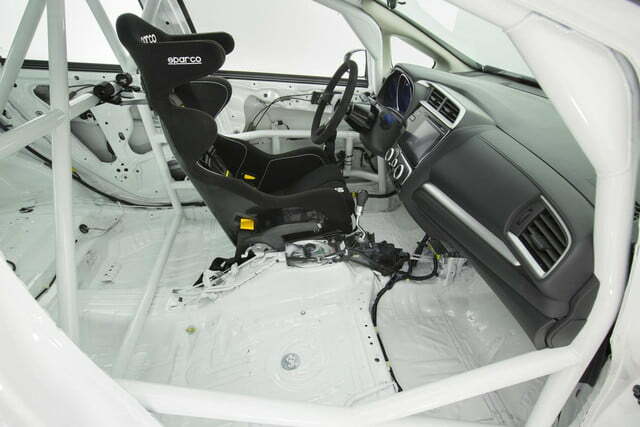 There’s the turbocharged track car by Bisimoto, the cabin of which wears a Recaro racing seat and not much else, a B-spec racecar prepped by Honda Performance Development (HPD), and a handful more. 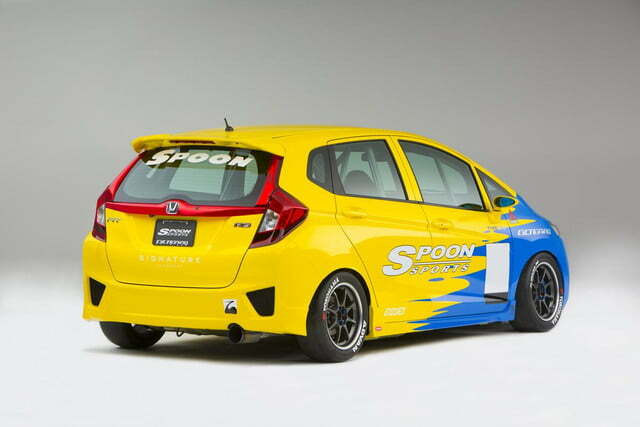 Six teams in total designed vehicles for SEMA this year, including Spoon Sports USA, Kenny Vinces, and MAD Industries. 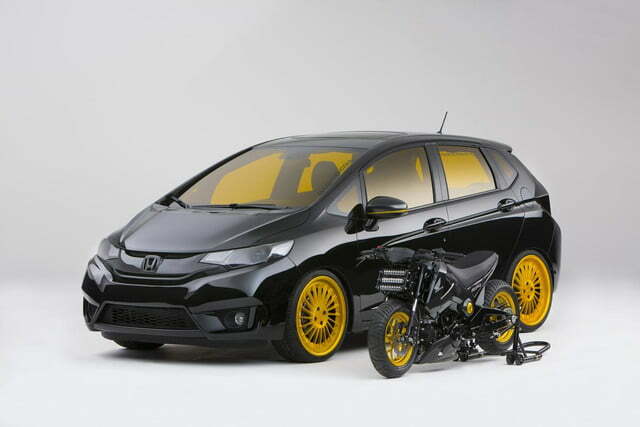 Alongside MAD’s yellow-windowed Fit, Honda is presenting a color-matched version of Honda’s cuddly minibike, the lovable Grom. 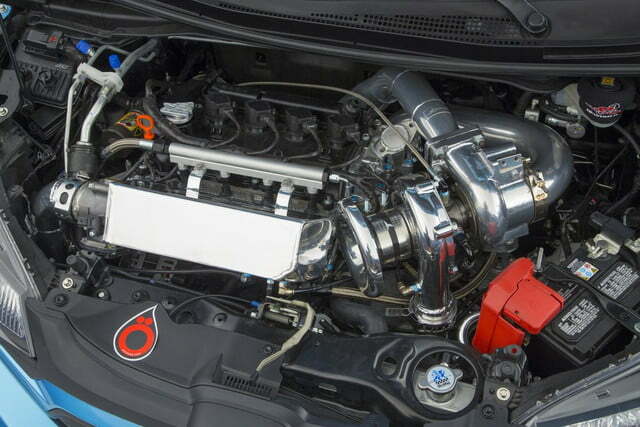 HPD isn’t just showing off its cars this year, the performance specialist is showcasing several crate and racing engines as well. 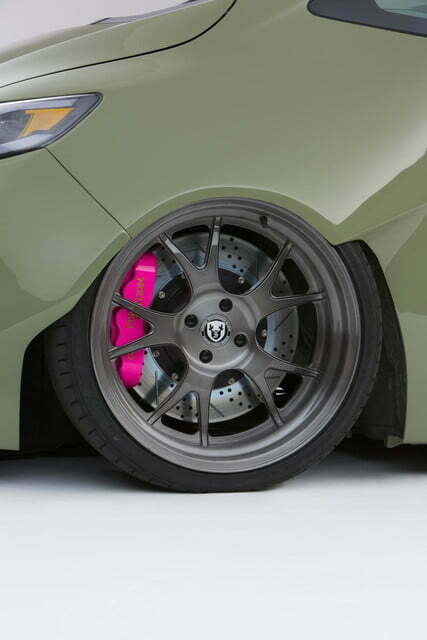 The powerplants are designed for sanctioned racers in North America, and they’re available for anything from a go-cart to an Indy Car. 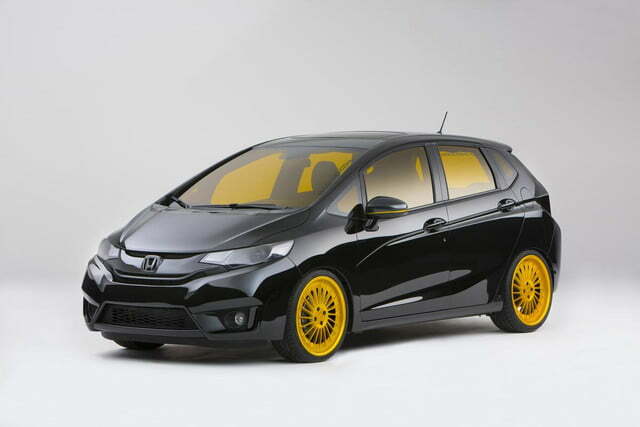 You can relive the unique development process of the custom Fits on Honda’s Tumblr page.